The World of Odysseus, by M.I. Finley … read more. We come together and help each other. We learn from and support … read more. Join us to learn about how climate change has influenced the conservation movement. Faced with senseless murders on an unprecedented scale, how do we, as people of faith, articulate and live daily from within our deepest ethical selves? At what point must we ask ourselves: “For what would I die?” … read more. Sunday, March 17th we completed our UUWaco Belief Panel. 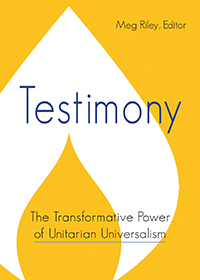 Four UUWaco members discussed their religious and/or spiritual beliefs. We heard from an atheist, an almost atheist, a pagan, and a pantheist. We learned so much and had a great time! Thank you to our panelists … read more.